Hermey: "Hey, what do you say we both be independent together, huh?" 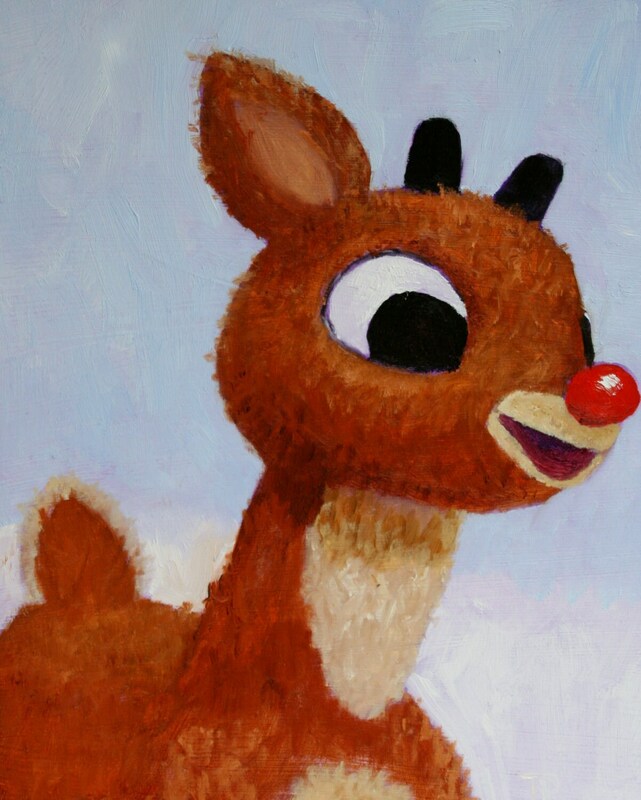 Rudolph: "You wouldn't mind my - red nose?" Hermey: "Not if you don't mind me being a dentist." The painting is 8 inches wide by 10 inches high. It is an original oil on a board. I can also offer a print that is also 8x10. The print is matted, so the final dimensions are 11x14. Obviously there is only one original available, but multiple prints can be purchased. I could believe the amount of detail in this art work. It is beautiful!!! You will not be disappointed!!! I am showing it off to all my family and friends. I give the art work and seller my top rating!!!!! I absolutely love it! Thanks you so much!